Today is my youngest daughter's 7th birthday...a day she has been anticipating since the start of 2012. 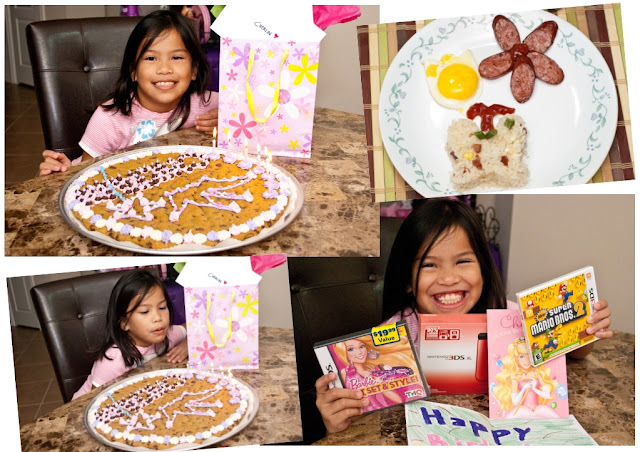 Just like any other typical girl her age, she has been very excited and busy planning about it for months now --- from the food she wants to eat for breakfast, lunch and dinner and the treats she wants to bring to school for her classmates, down to how she wants her birthday party to be. As her mom, it's (of course) my job to make it all happen. :) Oh well, I'm glad that her wishes aren't out of this world! They are actually simple and attainable. She said all she wants is a Nintendo 3DS or an mp3 player...a cookie cake, and a princess themed party where she can invite her friends. She also requested that I prepare fried rice with sausage and egg for breakfast and pancit canton and egg rolls for dinner. For lunch, she asked that her dad and I bring her McDonald's Chicken Nuggets and french fries in school. Her pabitin and piñata are ready too! 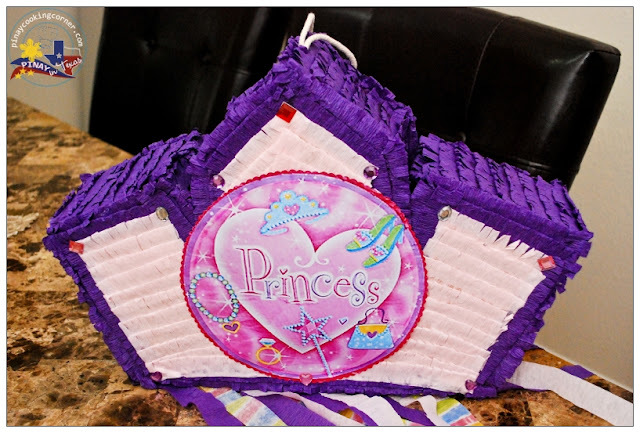 The pink and purple castle bounce house she requested has been booked and I'm done with almost all the decorations. All that's left to do is cooking and baking! Whewww! Kinda tiring...but it's all worth it! Seeing Cherlin's sweet smiles is more than enough to inspire me. And besides, the hubs will be helping me with the cooking part, so it's all good! I'll share with you more about her party next week. 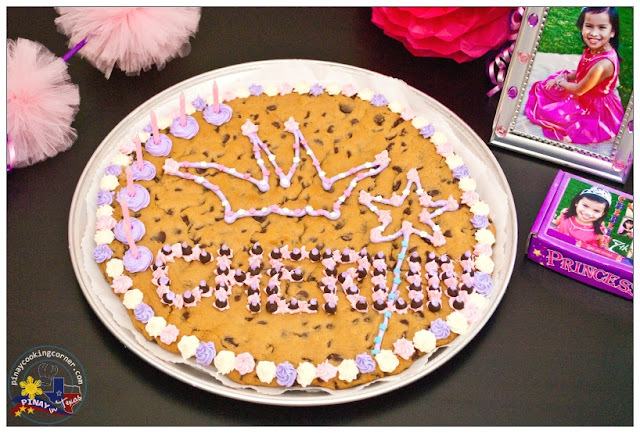 For now, here's the chocolate chip cookie cake that I made for her. I used a recipe I found at food.com. The only difference is that I added cream cheese in the mixture. It gives the cookie the cake texture that my family really loves! You can also make cookies with this recipe. Just scoop heaping tablespoons of the dough onto parchment paper lined baking sheets, and space them two inches apart. 1. Preheat oven to 350F. Line a pan with parchment paper. (I used a 14" disposable pizza pan.) In a bowl, mix flour, salt, baking soda, and cream of tartar. In another bowl, beat butter and sugars together. Add eggs, vanilla and cream cheese. 2. Add dry ingredients to the batter and mix until well blended. Stir in chocolate chips. 3. Spread dough into prepared pan. Bake for about 20 minutes. 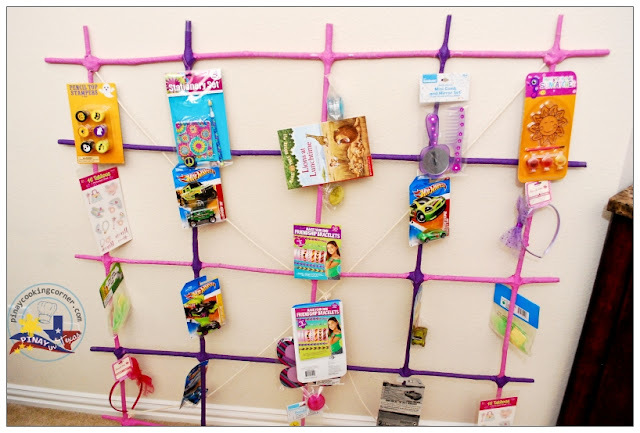 Transfer to a wire rack and allow to cool down completely. Decorate as desired. For the frosting, I used whipped cream cheese frosting. I just added a few drops of purple and pink icing coloring. . If you want to make regular sized cookies, scoop heaping tablespoons of the dough onto parchment paper lined baking sheets, space them two inches apart and bake them for 12 minutes. Happy Birthday to your dear girl! What a beautiful party she had. Your cake & decor is perfect! 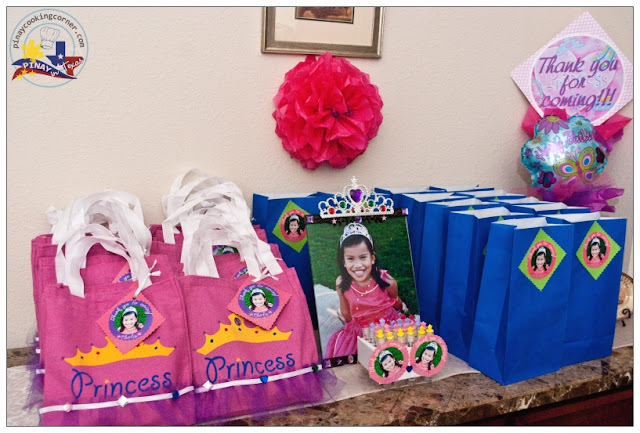 I'm absolutely amazed at how you were able to take care of everything (those gift bags) look impressive. Also, the thought of actually having a homemade cookie cake has never occurred to me. For literally decades I've just thought they were things that came from malls. 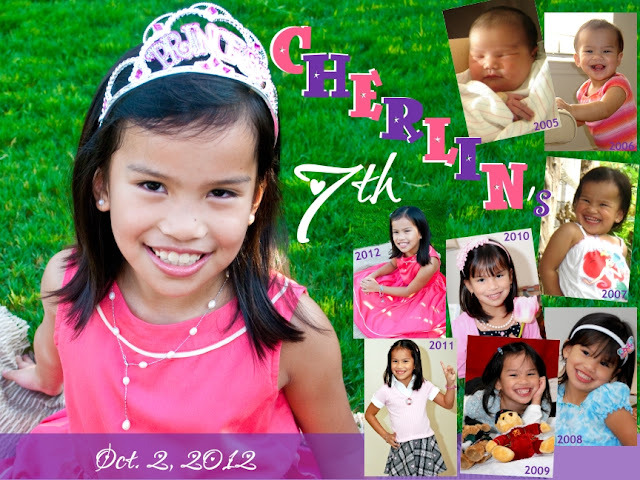 Happy Birthday to your princess Cherlin, She is a cutie. She got great mom and dad. and you done everything very well. Loved the chocolate chip cookie cake. Cream cheese makes the cake really moist. Happy Birthday to your girl! She is gorgeous, Tina...very beautiful indeed! I love the Bday theme! Stunning photos and cake look amazing! 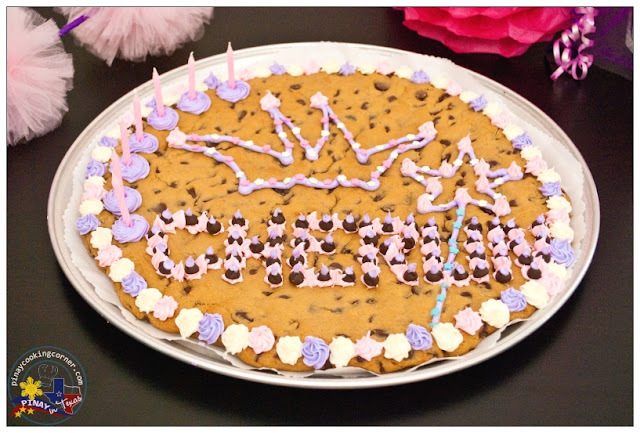 The cookie cake is such a lovely idea! Hi Rej! Thanks for asking that! I did forget to mention about the frosting. :) Anyway, I already added a link to the whipped cream cheese frosting I used. It's the same one I used for ube macapuno cake. I just added a few drops of pink and purple icing color. Oh you did a fantastic job! Happy birthday to Cherlin she looks so happy and excited! What a lucky girl Cherlin is to have you as her mom. Happy Birthday to her! She looks so sweet!!! My hearty birthday wishes to her!! and u have made such a delicious cake for her!!! congrats to u!! Wishing your angel a very happy birthday. May she have a day and year ahead as beautiful as she is. And your cake is so awesome. I am sure your daughter had the best birthday ever! Hi Tina, happy belated Birthday to your pretty daughter. She is so cute and sweet. Your chocolate chip cake look excellent. Very cute decoration. Beautiful cake for a beautiful girl! Happy birthday to your little princess! 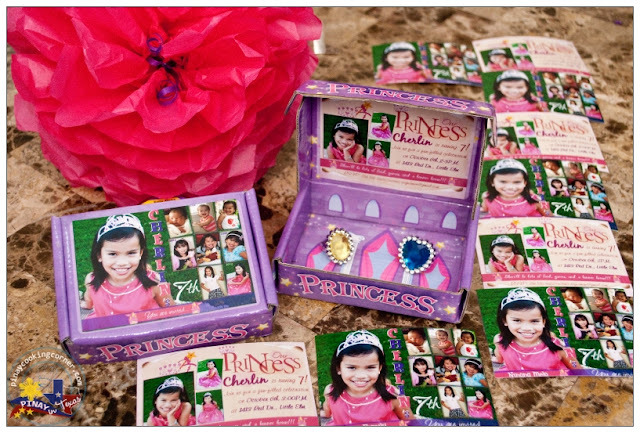 Happy birthday to ue princess... The cake looks so awesome. I have never heard of any child having so many wishes for his or her birthday, but most of all I have never heard about any mum who would make all these dreams come true. I hope your daughter realises what an wonderful mum she has! you did an amazing job, that is one beautiful girl and she is one lucky girl to have you as a mom!